This morning, Jess joined Carolyn and Jeff on Global TV’s The Morning Show to discuss the latest research regarding jealousy in relationships. Check out the notes and video clip below. 1. How do you deal with a jealous partner? You support them and give them permission to feel jealous bearing in mind that their jealousy isn’t about you. Be sure not to use their jealousy as a weapon. Acknowledge how they’re feeling and ask how you can help or provide reassurance. As a partner, you want to offer reassurance because we often feel jealous when we feel something we value (e.g. a loving relationship) is threatened. Research shows that those who respond to jealousy by offering reassurance of their interest have more stable relationships. You can’t eradicate jealousy. It’s a normal, universal emotion and you can learn a good deal about yourself and your relationship from jealous feelings. Normative or functional jealousy, for example, can help you to identify what you value. 2. What if their jealousy becomes a problem? If their jealous feelings translate into destructive beliefs or behaviours, then you need to address the behaviours specifically – not the feeling. They’re entitled to their feelings, but they’re not entitled to mistreat you or lash out in response to their feelings. You might invite them along and make sure they feel welcomed. Once they get to know this person, their concerns may be assuaged. You might offer verbal reassurance that they have nothing to worry about. You might let them know that the desire to control whom you spend your time with is not only off-putting, but also the desire has a negative effect on your bond with one another. 3. What if you’re the one feeling jealous? If you feel jealous, the first step in managing the emotion effectively involves admitting to it. Once you’ve acknowledged the emotion, you can examine why you’re feeling it and what you might do about it. What shifts can you make — behaviourally and cognitively — to learn from this feeling. How can you use jealous feelings to look at what you feel you’re missing and make changes OR accept your circumstances in the case of things you can’t change. For example, if you feel jealous of another person’s financial success and you acknowledge this feeling, you may be able to take steps to improve your own confidence or make adjustments to your own finances. You’ll also want to look at ways to build confidence overall. If you admire or covet something somebody else has, what can you do to achieve/embody this in your own life? You can’t have everything they have, but you can make changes to the way you think and the way you behave right now. And finally, consider the evidence that supports your jealousy. Should you really feel jealous or is it an irrational emotional response? If a friend came to you with the same problem and feelings, what would you say? 4. What about sibling and family jealousy? 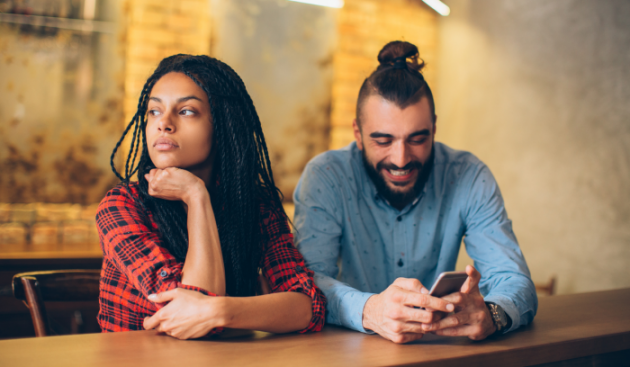 The roots of jealousy are common regardless of the type of relationship and we tend to compare ourselves to those who are most like us — with regard to age, gender and occupation. Research shows that low self-esteem, an anxious attachment style, and feelings of inadequacy are positively correlated with jealousy, so whether you’re jealous of your sibling, your neighbour or a colleague, the solution is the same: you need to work on yourself first. Focus on governing behaviour — not the feeling itself. It’s okay to feel this way, but you don’t want to be mean to your brother. Tell a story about a time you were jealousy and how you responded. Drop the comparisons and focus on your child’s strengths to build up their self-esteem. Show your own vulnerability; oftentimes a jealous relative believes that your life is perfect and when you open up about your own struggles, they may see you as more human. 5. What’s the difference between envy and jealousy? Envy often refers to negative emotions directed at another/others (e.g. resentment, malevolence) whereas jealousy often refers to a longing for or insecurity related to something that someone else has. In relationships, jealousy is often an emotional response to a perceived threat to an existing bond.